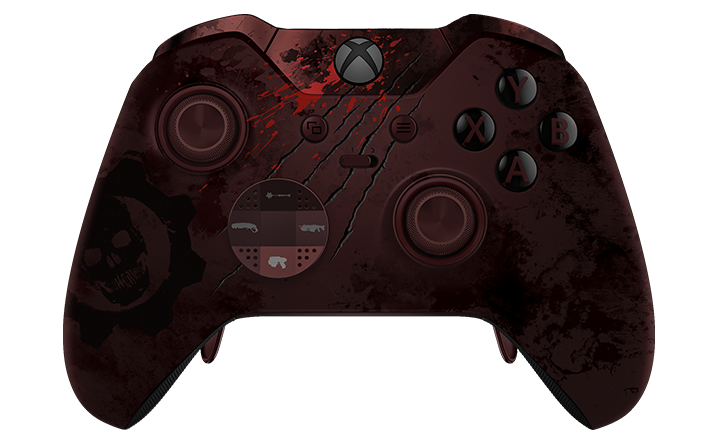 I did mention a bit ago that i'd love a Gears pad similar to the 360 ones but I was hoping for a special edition standard controller as it would be affordable, this looks ace but far too pricey. Massive improvement on the beta, roll on October. IGN take a look at the new map, Impact, also includes the enemies from the above vid as playable MP characters. Today we’re excited to announce the Brothers to the End Elite Gear Pack, a new pre-order bonus included in all editions of Gears of War 4. This pack pays homage to some of the most beloved characters from the Gears of War universe, and extends the tradition of offering gold weapons to day one players. New and current Gears of War 4 pre-order customers will receive three unique characters. •“Tomorrow Anya” is named after her famous words following the end of the Locust War (“Tomorrow Marcus. We finally have a tomorrow.”) Her appearance is based on her look in the Gears of War 4 television commercial, “Tomorrow,” where she was introduced as the mother of JD Fenix. •“Old Man Marcus” features an older Marcus Fenix as unveiled in the E3 2016 media briefing demo. Twenty-five years after the Locust War, Marcus and the COG have long since parted ways. His facial hair has grown long and his COG regulation kit has been replaced with by civilian clothes. •“Zombie Dom” proves there’s no keeping a good solider down, at least in the form of this character skin created as tribute to Marcus’ dearly departed best friend Dominic Santiago. The Elite Gear pack also includes the Gold Wave Lancer and Gold Wave Gnasher — updated versions of the gold weapon skins awarded to the series’ most-dedicated day one players. All new and current pre-order customers will also receive the previously announced Vintage Del Pack, which includes the Vintage Del character model and retailer-specific bonus items, including unique weapon skins. Finally, all pre-order customers will receive the entire Xbox 360 Gears of War collection for use on Xbox One. This includes all four previous games – Gears of War, Gears of War 2, Gears of War 3 and Gears of War: Judgment – and is available only as a limited time offer. Gears of War 4 is available in Standard ($59.99 USD ERP) and Ultimate Editions ($99.99 USD ERP) and is now available for pre-order from the Xbox Store or from participating retailers. The game launches Tuesday, October 11, 2016 worldwide. Developer Q&A from last night. Achievements and info on Gears packs. Saw this posted on Facebook a few times last night, i'm avoiding it though, only 8 days before I run through it myself.